For the past two years, concerns about the declining enrollment LCUSD is facing have been expressed at many Board meetings, especially at Board meetings related to budget issues. LCUSD is among the estimated 50% of California public school districts facing this dilemma. Unfortunately, the effects of declining enrollment impact staffing. 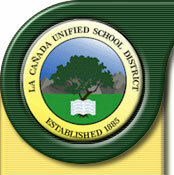 Because LCUSD is funded based on student enrollment, as the enrollment decreases, funding is lost. Personnel costs are the majority portion of public school budgets and 80-85% of a typical school budget is used to pay for salaries and benefits. Due to severe declining enrollment in the elementary levels, the Board must reduce 5.67 elementary teaching positions. This decline in enrollment has not yet completely filtered up to the 7-12 portion of the district. So while we are very in low in our enrollment numbers at the elementary schools, the middle and high school may still have larger numbers in classes and programs for 2007-08 than would be desired. Eventually, this dip in enrollment we are experiencing at the elementary will affect the 7-12 campus as the current elementary students matriculate to the secondary program. When does the District need to notify the 5.67 elementary teachers about being released from their positions for the 2007-08 school year? The Education Code (the law that public schools must follow) sets a mandatory deadline of March 15, 2007 for the teachers to receive this notice for the 2007-08 school year. If teachers do not receive notice by March 15, then the District must rehire them even though it could cause financial harm. How does the District decide “which” 5.67 elementary teachers are to be released? The teachers selected to be released are determined on a seniority basis, with those hired the most recently being released first. Can the District hire back these teachers? Yes, in the event things change, the District can hire back these teachers. For this to happen, enrollment numbers would have to increase, or other permanent employees would need to vacate their positions [through retirement, etc.]. What happens if the District continues to decline in enrollment in future years? If the enrollment continues to decline in future school years, additional budget cuts and personnel reductions will be necessary to keep the District financially solvent.